Vote now—and vote daily—to choose your favorite among the DIY pallet projects competing to win this month's Bob Vila Thumbs Up competition! 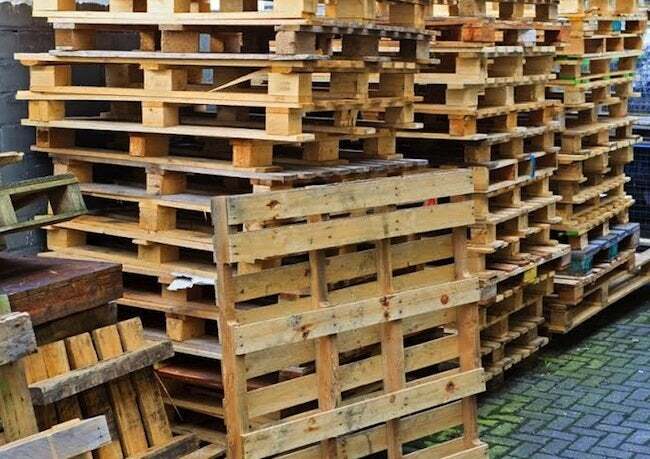 There’s no doubt about it: The humble pallet appeals to the imagination. There’s almost no end to its possibilities and it seems like every DIYer, blogger, and Pinterest user has considered the pallet’s raw potential at one time or another. But only a few have truly unlocked this material’s full potential. Each and every one of this month’s Bob Vila Thumbs Up competitors has done just that—elevating this leftover shipping supply into benches, beds, desks, and more. And that deserves a big thumbs up. Some of these projects are simple enough to complete in an afternoon, while others take muscle, special tools, and time to complete. But regardless of complexity, they are all completely deserving of taking home the prize—a $250 gift card to True Value. We love each and every one of this month’s pallets projects, but only the project with the highest number of votes can win. So we need your vote to determine the winner of this month’s competition. So vote today and everyday to help us choose this month’s winning Bob Vila Thumbs Up blogger! Congrats to last month’s winning blogger, Crafting in the Rain. Read more about her winning Bob Vila Thumbs Up project right here.